I’m doing some archival research for a project in North Philly and came across these images. 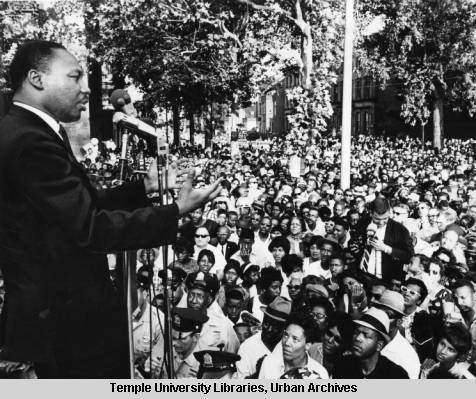 Below, Dr. King is attending a rally at Girard College in 1965, where activists were embroiled in a long battle to change the school’s segregationist admission polices (which finally happened in 1968). 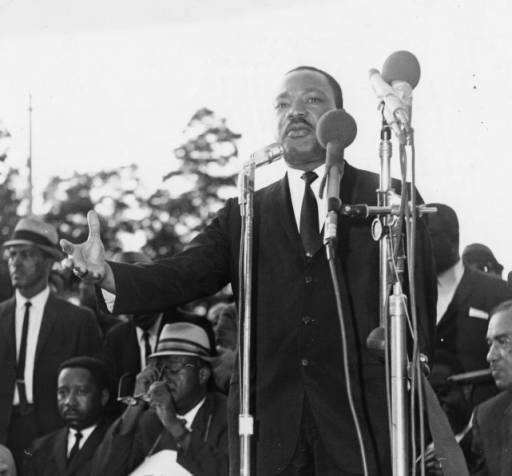 Cecil B. Moore, president of the local chapter of the NAACP, is seated to King’s left. 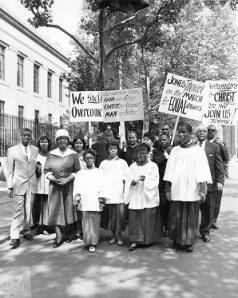 Below, Big Mom Ella Taggert (on left in white hat) leads demonstrators at Girard College. 1965.